Home Those Wily Weeds Does Tillage Affect Weed Management? Does Tillage Affect Weed Management? No-till (zero till): limits soil disturbance to the seeding pass, essentially leaving 100 per cent of residue at the soil surface. 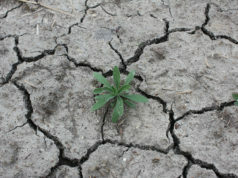 Conservation till (minimum till): moderate soil disturbance that leaves 30 per cent or more residue at the soil surface. 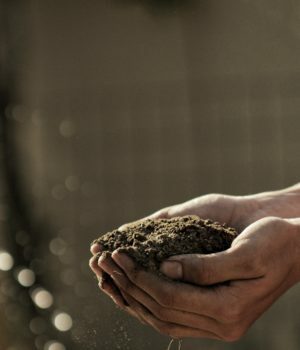 Conventional till: intensive soil disturbance that results in the most residue being incorporated into the soil (less than 30 per cent of residue at the soil surface). The impact of tillage on weed species shifts was studied over 20 to 30 years ago, when large areas of the Prairies transitioned to no- or conservation-tillage systems. Findings mirrored grower experience – that reduced tillage shifted the weed spectrum to include more perennial and winter annual weeds. In fact, a comparative weed survey conducted in Manitoba in 1994 that looked at no-till and conventionally tilled fields within similar geographies showed exactly that (Table 1). Indeed, the perennial species – Canada thistle, dandelion, perennial sow-thistle and quackgrass – were all present at higher densities in fields that were zero tilled relative to those that were conventionally tilled. Distribution of perennial weeds capable of reproducing by rhizomes, like Canada thistle and quackgrass, may also differ between the two systems. Limited studies have shown that such perennials tend to occur in patches with no- and conservation tillage due to limited soil movement. Convention tillage, though an effective management tool for Canada thistle and quackgrass, may also result in broader field distribution of these weeds through the movement of ‘root buds.’ Increased tillage intensity may be relatively more effective on simple perennials, like dandelion, that rely solely on seed for reproduction. Densities of facultative winter annual weed species (weeds that can germinate in the fall or spring), like cleavers, narrow-leaved hawk’s-beard, and round-leaved mallow were also higher in no-till systems compared to conventional till. Night-flowering catchfly was the exception and more prevalent in conventionally tilled fields. This reflects the fact that germination of night-flowering catchfly may be stimulated by soil disturbance. This weed also exemplifies how tillage can influence germination timing. No-till resulted in greater over-wintering populations while conventional till encouraged spring germinating populations. This, in turn, affects ideal management timing from post-harvest or early spring for fall germinated plants, to pre-emergent or in-crop for spring germinated plants. Other winter annuals, like cleavers, can behave similarly to some extent but favour conservation and no-till management. Not surprisingly, and in contrast to perennial and winter annual weeds, the density of annual weeds was greatest in conventional till versus no-till fields (Table 1). In addition to an annual life cycle – and like night-flowering catchfly – many of these weed species also thrive in disturbed soil conditions. Kochia, lamb’s-quarters, redroot pigweed and wild mustard are all examples of this. Due to an initial lack of dormancy, a fall tillage pass (within three weeks of harvest) can help manage volunteer canola populations by nearly doubling fall seed germination. Interestingly, wild oat, a problematic weed in any tillage system, may occur in slightly higher densities in no-till fields. Deep burial is generally not a control method for most weed species but many, like wild oat, have significantly higher germination when their seed occurs within two to five centimeters of the soil surface; and without tillage as a control, this cool-season weed may get ahead of a direct-seeded crop. 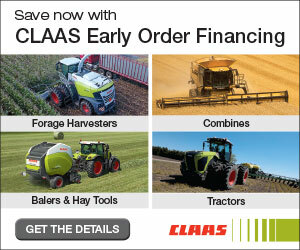 What does all this mean for weed management under different tillage systems? Unfortunately, not much. 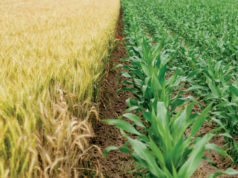 Other research found that although the density of the various weed species was influenced by tillage, after crop competition and herbicide application, overall weed biomass was similar. Another study, conducted at several locations in Saskatchewan, suggested that geography and environmental conditions were more significant factors affecting weed spectrum than tillage. The use of certain soil applied herbicides is impacted by the tillage system, though. In the absence of iron, herbicide use is increasingly important for weed management. At the same time, the ‘seasoned’ Group 3 herbicides trifluralin and ethalfluralin (Edge) and the Group 8 herbicide triallate (Avadex) are once again gaining popularity as a tool to manage herbicide resistance. When first registered, these herbicides required thorough incorporation to ensure product distribution within the active weed seed zone. 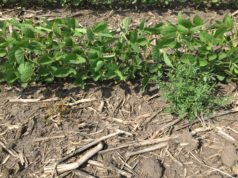 After transitioning to no-till, some growers found they could still achieve acceptable weed control with a surface application of these herbicides. However, this only works for strict, well-established no-till systems, since the active weed seed bank is also at the soil surface. Any amount of tillage, minimal or intensive, still requires these products to be incorporated to ensure efficacy. So, once again, a weed management article boils down to one simple recommendation: scout. Changing up your tillage regime to conserve moisture, limit soil loss or simply to try a new piece of equipment may shift your weed spectrum. Studies show this may or may not have implications for weed management. What matters is knowing what weeds are in a field and when they occur – this is the key to their management – with or without tillage.